Attorney Manolis received his Bachelor of Arts degree from the University of Pittsburgh in 1982 and his Juris Doctorate from the University of Dayton School of Law in 1986. He has been licensed to practice law in Pennsylvania since 1986. He is admitted to practice law before all Pennsylvania courts, as well as the United States District Court for the Western District of Pennsylvania. He is a member of the Lawrence County Bar Association and has been a member of its Executive Committee and its Treasurer since 1988. He is also a member of the Pennsylvania Bar Association and the American Bar Association. He is a member of the Pennsylvania Association for Justice and the American Association for Justice. He has been the opinion editor for the Lawrence Law Journal and the District & County Reporter since 1988. He has also attained the status of Advocate through the Association of Trial Lawyers of America, National College of Advocacy. He served as solicitor for the City of New Castle from 1996-2008 and as solicitor for the Borough of Seven Fields from 2012 to 2018, and currently serves as solicitor for the Lawrence County Economic Development Corporation, and the Lawrence-Hickory Municipal Authority. Attorney Manolis has attained the “AV Preeminent” rating from Martindale-Hubbell. This rating signifies that a large number of his peers rank him at the highest level of professional excellence for legal knowledge, communication skills and ethical standards. 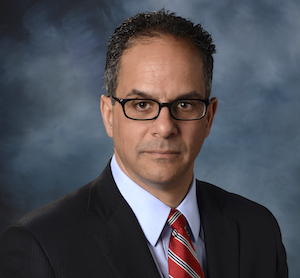 In 2012, Attorney Manolis was selected by LexisNexis Martindale-Hubbell as one of Pittsburgh’s Top Rated Lawyers. Attorney Manolis has also been involved in many reported cases: In the Interest of J.B. Appeal of Newspaper Holdings, Inc. t/d/b/a New Castle News, 39 A.3d 421 (Pa.Super. 2012); In re Jubilee Ministries International, 2 A.3d 706 (Pa.Cmwlth. 2010); Peace v. Peace, 2010 WL 925182 (Pa.Com.Pl. 2010); First Nat. Bank of Pennsylvania v. Kelly, 2010 WL 1435340 (Pa.Com.Pl. 2010); Vantassel v. Lawrence County Domestic Relations Section, 659 F.Supp.2d 672 (W.D.Pa. 2009); Vantassel v. Lawrence County Domestic Relations Section, 2009 WL 2588815 (W.D.Pa. 2009); Castle Cheese, Inc. v. Blue Valley Foods, Inc., 2008 WL 4890851 (W.D.Pa. 2008); Castle Cheese v. Sadler, 2007 WL 1797513 (Pa.Com.Pl. 2007); Newspaper Holdings, Inc. v. New Castle Area School District, 911 A.2d 644 (Pa.Cmwlth. 2006); Newspaper Holdings, Inc. v. New Castle Area School District, 2006 WL 4129309 (Pa.Com.Pl. 2006); Slagle v. Slagle, 2006 WL 5165790 (Pa.Com.Pl. 2006); Simpson v. City of New Castle, 740 A.2d 287 (Pa.Cmwlth. 1999); Commonwealth v. Pallerino, 1994 WL 904466 (Pa.Com.Pl. 1994); Jack Rees Nursing and Rehabilitation Services v. Hersperger, 600 A.2d. 207 (Pa.Super. 1991).